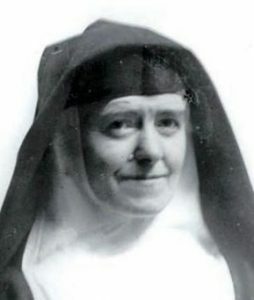 Sainthood causes are always very interesting to me. For one, they show how the Gospel and the Sacraments incarnated in a particular Church or a country. Every saint has a history and a personal spiritual genealogy given particularly by the Trinity for reasons of sanctification. The USA has several saints and blesseds, lots of venerables and servants of God. 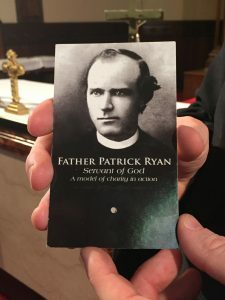 A recent one, Father Patrick Ryan, is the latest Servant of God. 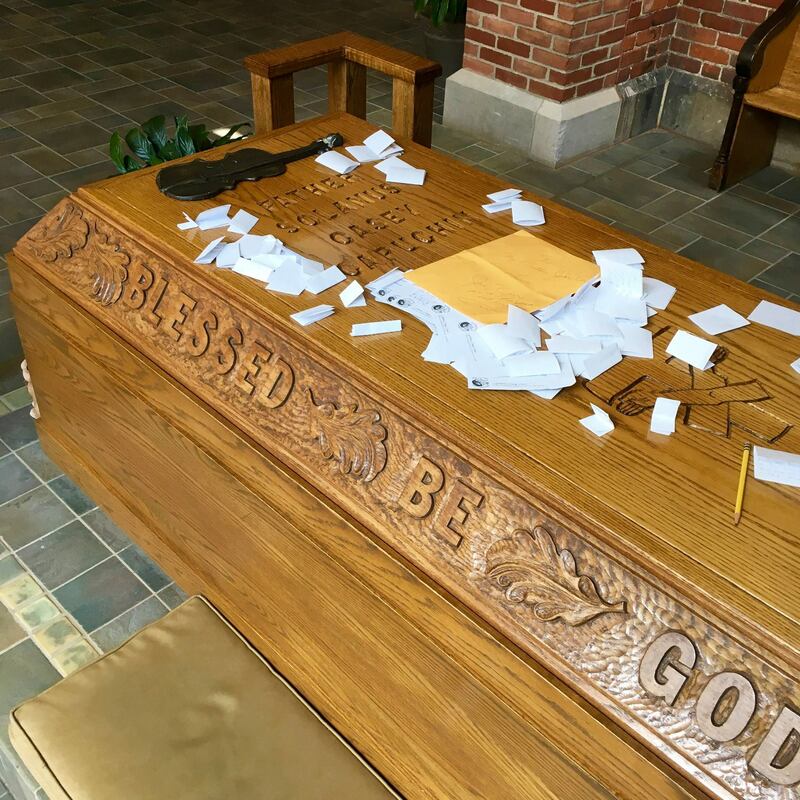 Yesterday (8/9/2016) I signed documents that God willing will lead to the eventual canonization of a priest who served in East Tennessee, Father Patrick Ryan. This remarkable priest, born in Ireland took care of the sick during an outbreak of Yellow Fever in Chattanooga during the 1870s. He served then at what is now known as the Basilica of Sts Peter and Paul. When others abandoned the sick, he stayed around but eventually he himself died from Yellow Fever. He was known for his holiness and pastoral care. I will share more in months ahead about the case of this man whom now is being considered for his holiness as a Saint of God. The Vatican has under recognized his holiness by allowing the process to begin. And so yesterday, with their approval and my signature giving my assent as the bishop, he is now known under the title of “Servant of God”! Bring your prayer intentions to the Servant of God Father Patrick Ryan so that he will bring them to the Lord. Today is the anniversary of death for Venerable Servant of God Father Solanus Casey. The Sacrifice of the Mass was offered at the Capuchin Shrine in Detroit where his tomb exists. The Archbishop of Detroit, Allen H. Vigneron, offered Mass. Father Solanus Casey, was born November 25, 1870, on a Wisconsin farm, joined the Capuchin friars in 1896 and ordained priest on July 24, 1904. Prayers for the beatification of Father Solanus Casey. 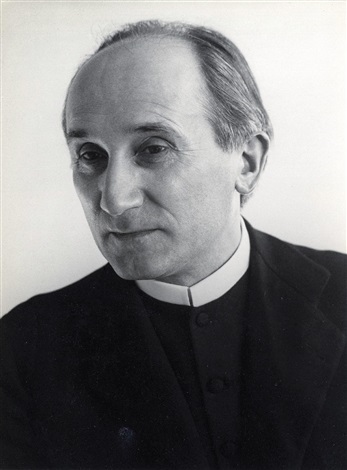 Some fascinating news –at least it was fascinating to me– that the Archdiocese of Munich and Freising is preparing to open the Cause of Canonization for Father Romano Guardini, one of the most influential Catholic theologians of the 20th century. Several groups have developed praying for Guardini’s beatification. The press is reporting that Reinhard Cardinal Marx is expected to formally open the Cause before the end of the year. 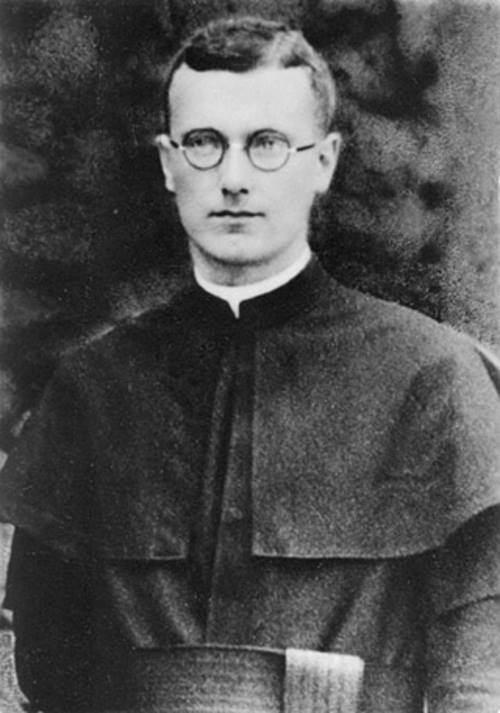 Father Guardini was born in Verona in 1885 and died in Munich on October 1, 1968. He taught at the University of Berlin, the University of Tübingen and at the University of Munich. Guardini has been called the patron saint of education (or the educator). And the Word Dwelt Among Us. The popes, including the last two, have relied upon the thinking of Guardini. In the 1980s when Francis was shipped off to Germany by the Jesuits to get him away from Argentina he went to Germany he was to prepare a doctoral dissertation on Guardini but never finished the work. Pope Francis said, “convinced that Guardini is a thinker who has much to say to the people of our time, and not only to Christians”The emeritus pope Benedict stated that Guardini is “a great figure, a Christian interpreter of the world and of his own time”. It is said that Father Guardini was a principal source of influence in Benedict’s writings. Father Romano Guardini, pray for us.